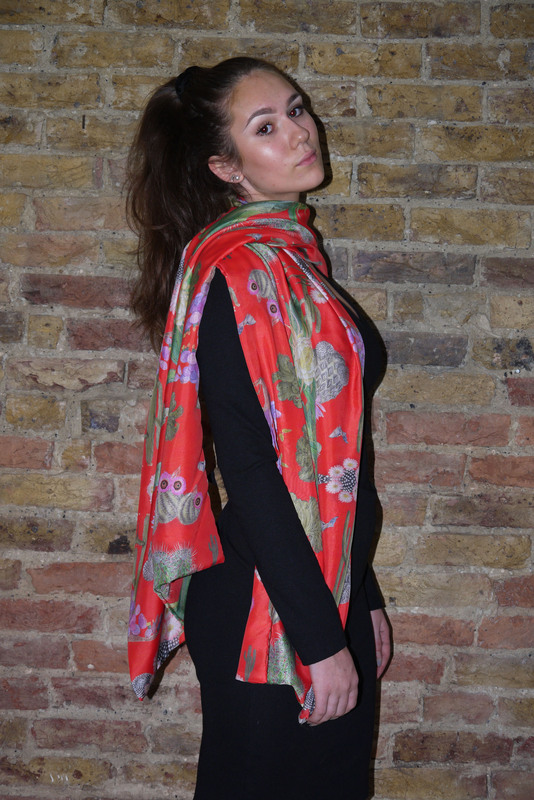 An elegant double sided silk wrap measuring 50 cm wide and 200 cm long. 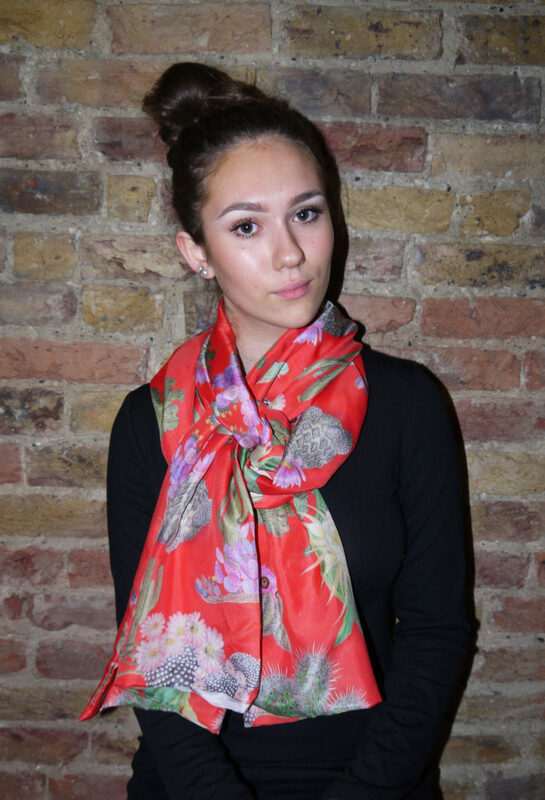 It is digitally printed using environmentally-friendly process on 35 g per m2 weight Habotai silk. Dry cleaning is recommended. 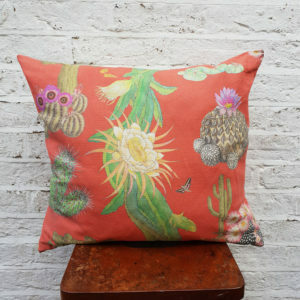 This Cactus Mexicanos design tells the story of the incredible diversity of cacti in Mexico, a real centre of endemism for this group of plants. These unusual forms give the design a contemporary feel, and the pops of magenta, a common flower colour for this group, give great vibrancy to the design. Lovely drape and versatile styling. This design is the culmination of several years that designer and biologist Susy Paisley spent living in and totally in love with Mexico. It celebrates the incredible diversity of Mexican cacti. Mexico is one of the world’s centre of endemism for this group of plants, and includes marvels like the Creeping Devil, a cactus in this design which actually moves across the desert floor! Cacti are enjoying a new popularity, but globally, one out of three cacti is in need of conservation attention. 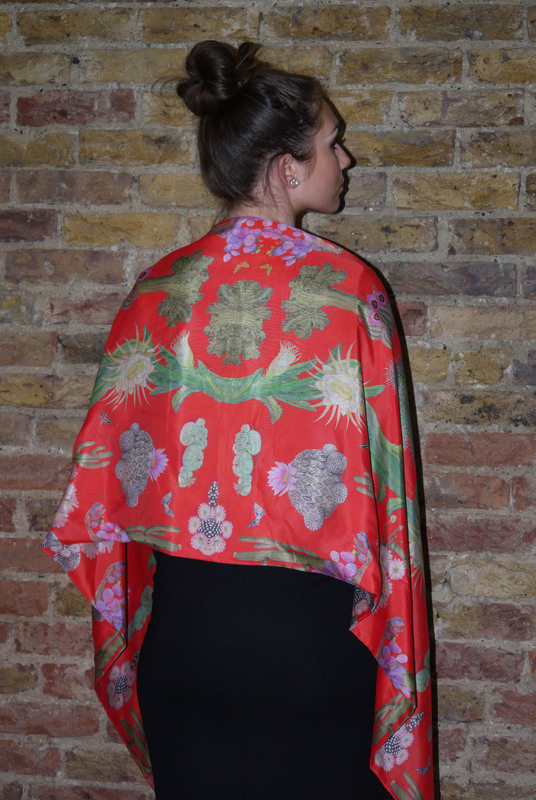 An elegant double sided silk wrap measuring 50 cm wide and 200 cm long. 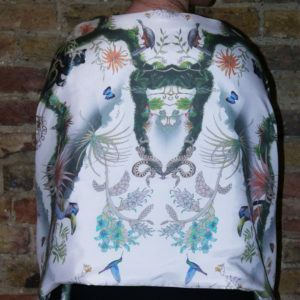 It is digitally printed using environmentally-friendly process on 35 g per m2 weight Habotai silk. 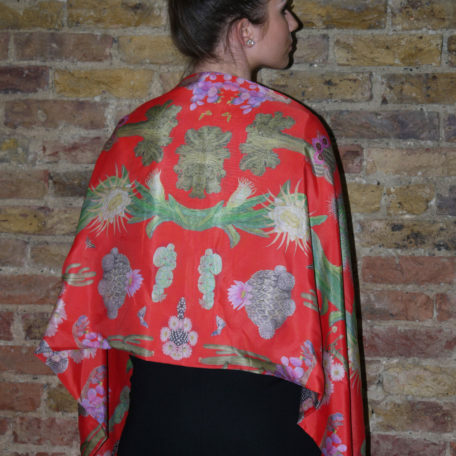 Lovely drape and versatile styling. Dry cleaning is recommended. Celebrating iconic species and conservation stories from the Carolinas. 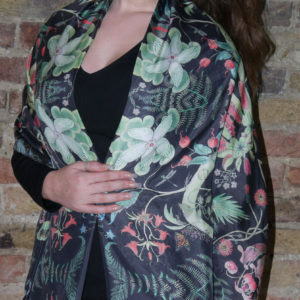 An elegant double sided silk wrap measuring 50 cm wide and 200 cm long. 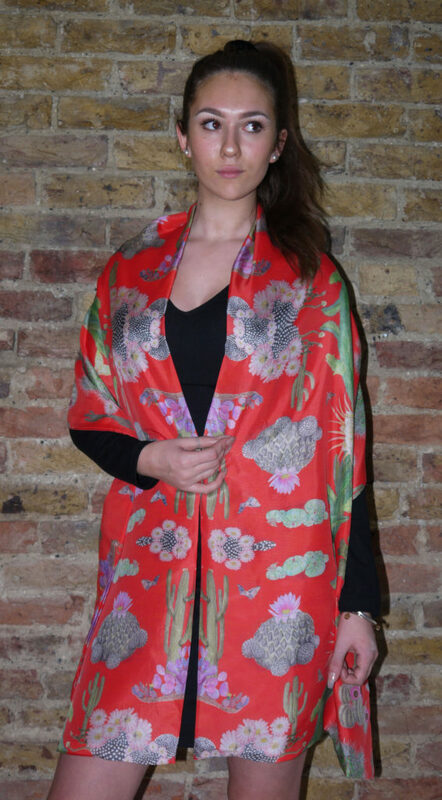 It is digitally printed using environmentally-friendly process on 35 g per m2 weight Habotai silk. Lovely drape and versatile styling. Dry cleaning is recommended. 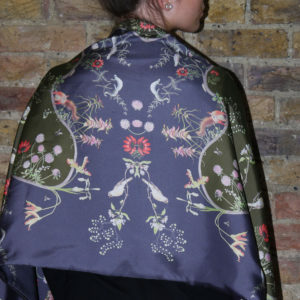 A two-tone looping and whimsical design that celebrates English species of conservation interest.